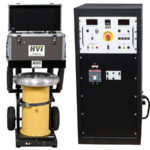 High Voltage, Inc. is on the road. 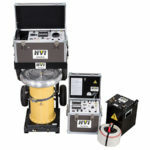 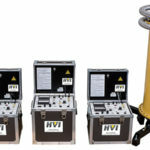 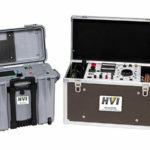 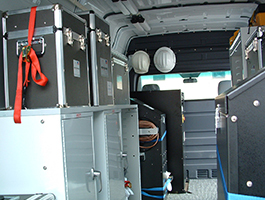 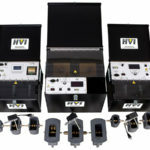 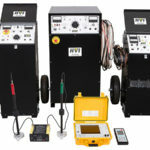 Our demo fleet is fully equipped with high voltage test instruments and manned by HVI experts ready to discuss your applications and equipment needs. 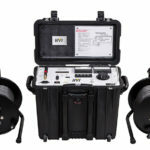 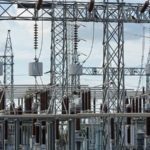 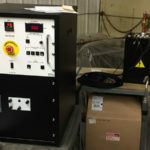 An on-board 3 kW inverter powers up our products for live demonstrations of cable testing, cable fault location, substation apparatus testing, and other applications. 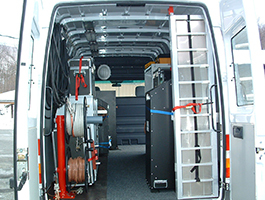 The equipment suite changes periodically, so please call 518-329-3275 if you have a specific product request. 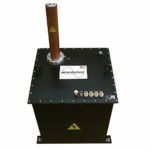 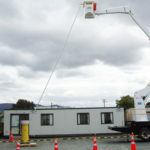 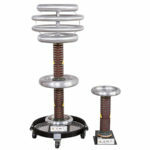 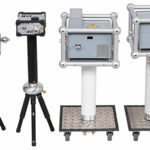 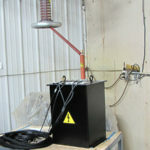 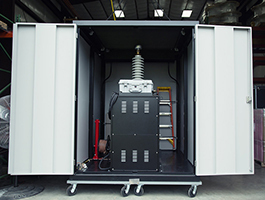 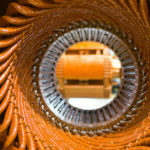 For demonstrating our VLF-200CMF, our 200 kVac @ 0.1 Hz model, we typically install one in a trailer with a sliding top to facilitate connecting the HV output bushing to the load (see bottom left).